I get it. You want to be inclusive. You want to show us that you’re aware that not everyone has a Christian upbringing and celebrates Christmas as you do. You also want to show that you’re not ethnocentric, that you are aware that other cultures have as much value as your own. But not like this, please. If you follow Christianity, we say: Merry Christmas! If you are Jewish, we say: Hanukkah Sameach! If you celebrate your African heritage, we say: Happy Kwanzaa! If you are Japanese, we hope you enjoy your Ōmisoka celebrations. And if none of these resonate with you: Happy Festivus! The problem with this greeting, as well-intentioned as it might be, is that it groups together disparate seasonal observations that have little to do with each other, other than, perhaps, approximate timing. 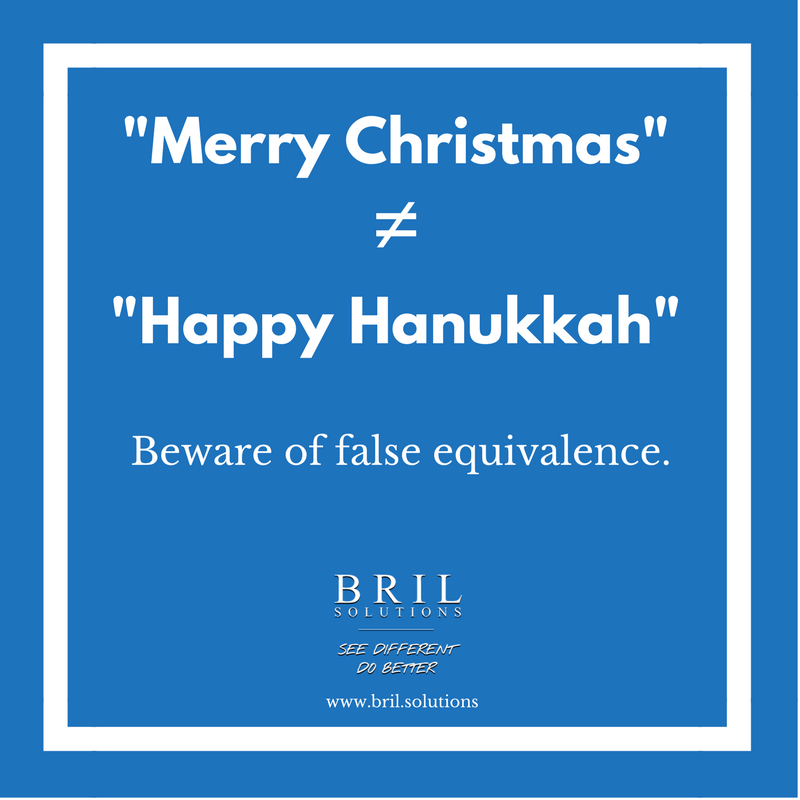 In meaning, symbolism, depth and intent, this ‘holiday greeting’ only makes a weak argument for pluralism, rather than making a solid, moral statement for what the company believes in. A missed opportunity, at the very least. Secondly, in making a short list like this, you are by nature being exclusive. Where are the Hindus, the Taos, Shintos and the Buddhists? Where are the Muslims in this list? Not to mention agnostics, atheists and other secularists who might not acknowledge a supreme being, but nevertheless enjoy the time with family and friends during this season of winter solstice. Simply tossed off with a blithe reference to an obscure American television program?